I am proud to announce that last night Councillor Allan Lawson, Mayor of Dacorum Borough Council, opened Sunnyside Rural Trust’s memorial garden. This beautiful and innovative space is a physical representation of the poems in The Memoir Garden, the collection that documents my Arts Council writing residency with Sunnyside Rural Trust. Each poem is comprised of the words and experiences of adults with learning disabilities, offering rare insights into lives that have too often been silenced. 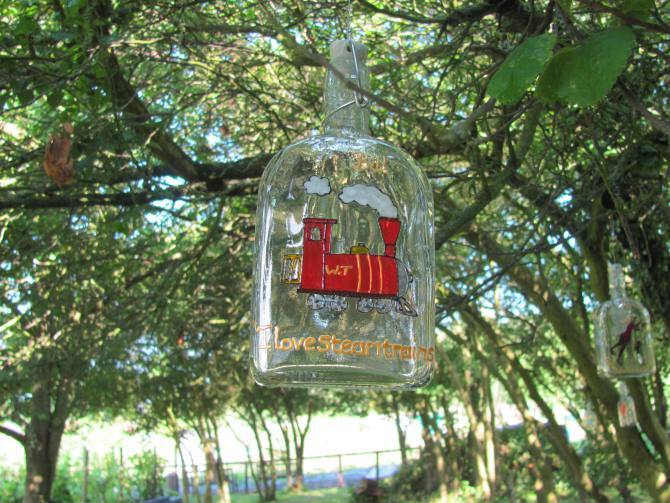 Painted glass bottles hang from trees throughout the garden, depicting images and lines from each poem along with the poet’s name. At the launch, Roxy Simmons – one of the Sunnyside poets – read a speech prepared by the group. ‘We thought it was important for people to understand about our lives,’ she explained. ‘We don’t want people to think that we are thick. We want people to know that we have the same feelings, relationships, and experiences as everyone else. We will maintain the garden together as a place of peace and quiet where we can sit and reminisce. In particular, this is a space where we will remember our old friends Leon and Marie’. The garden was completed within 107 days to support the Justice for LB campaign (#107 days), which highlights the case of Connor Sparrowhawk, who drowned in the bath 107 days after being admitted to an assessment and treatment unit – an entirely preventable death. 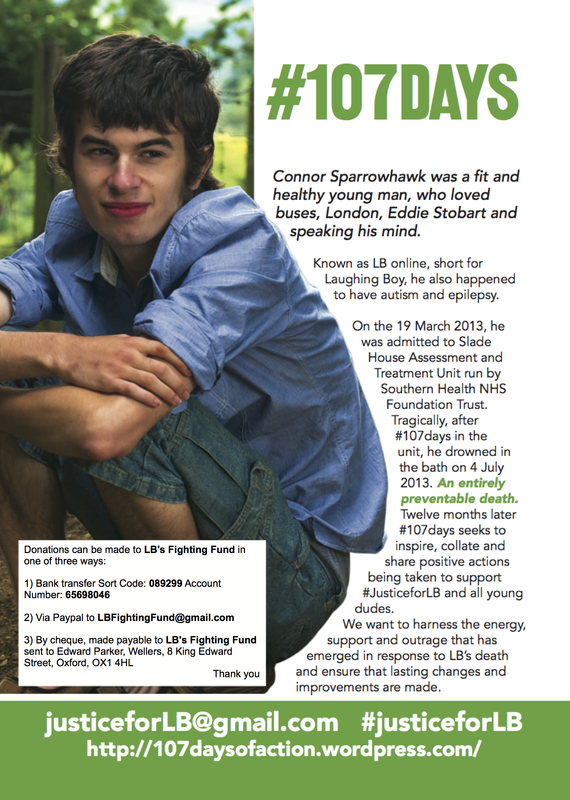 Connor had learning disabilities and the campaign seeks to share and collate positive actions. Please click on the flyer below to find out how you can contribute to this vital campaign. 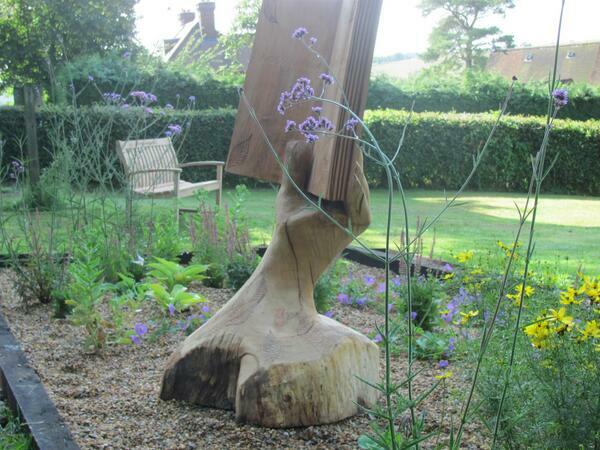 The garden’s centrepiece, a wooden sculpture of a book, was unveiled at the launch. It is appropriately engraved with the words ‘Voices to be heard’. A truly inspiring project, Emma Claire – it’s been amazing to see how it has grown from the initial idea and interviews, to a printed book and now this beautiful garden.